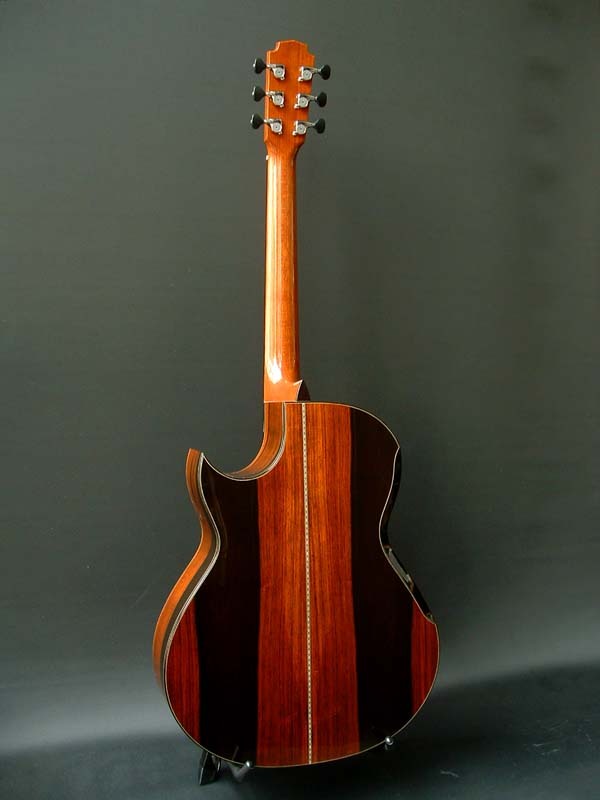 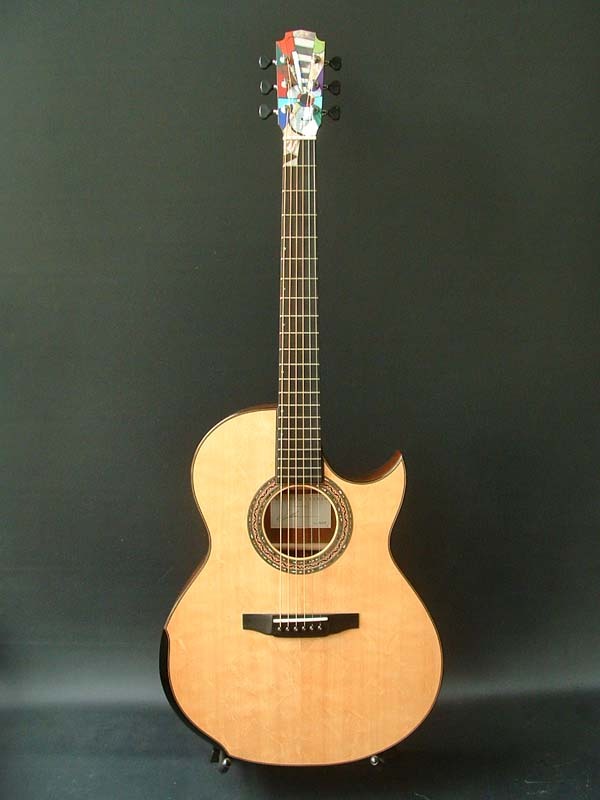 Mid size body, sharpe cutaway, Bear claw sitka spruce top, Brazilian Rosewood sides & back, arm rest and rib rest, side sound port, clear pickguard, Mahogany neck, ebony fingerboard and bridge, special "Laskin guitar in guitar" head inlay, Gotoh 510 tuners with ebony buttons, 44 mm at nut, with original Calton hard case. 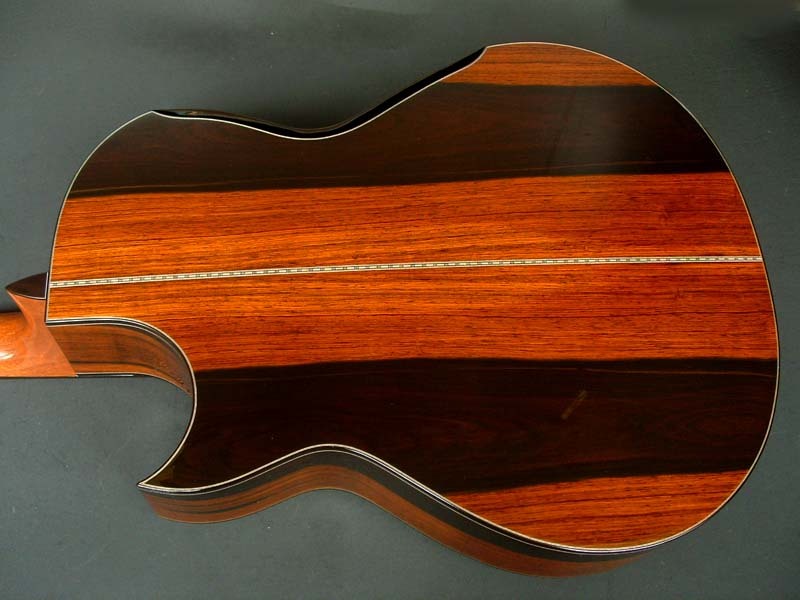 One of a kind custom guitar made by Canada's master luthier, William Grit Laskin! 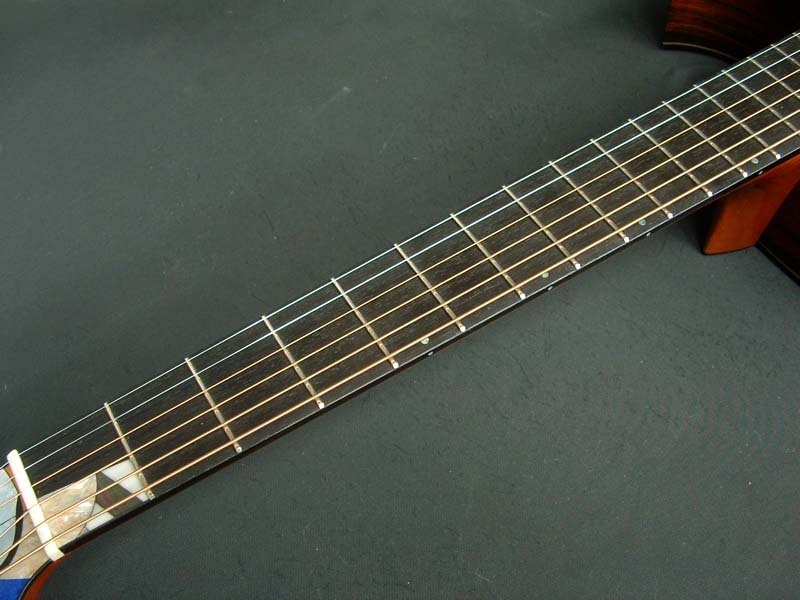 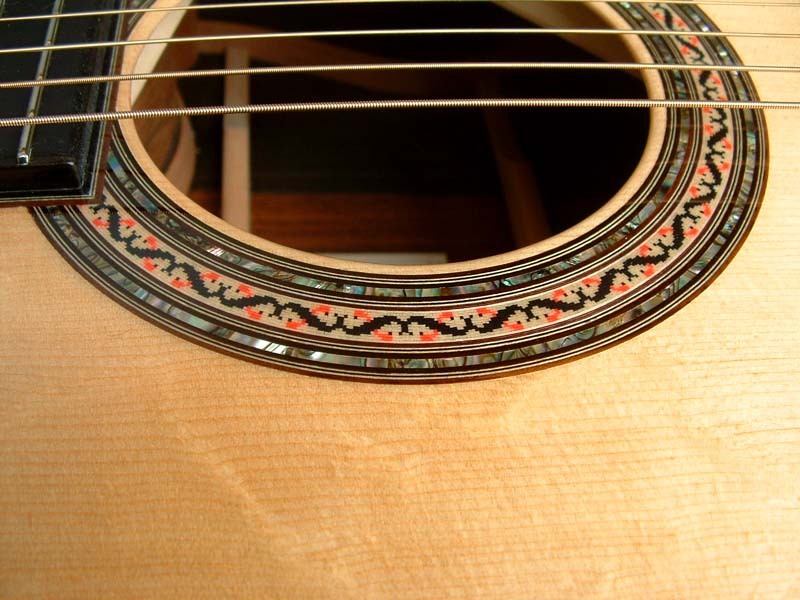 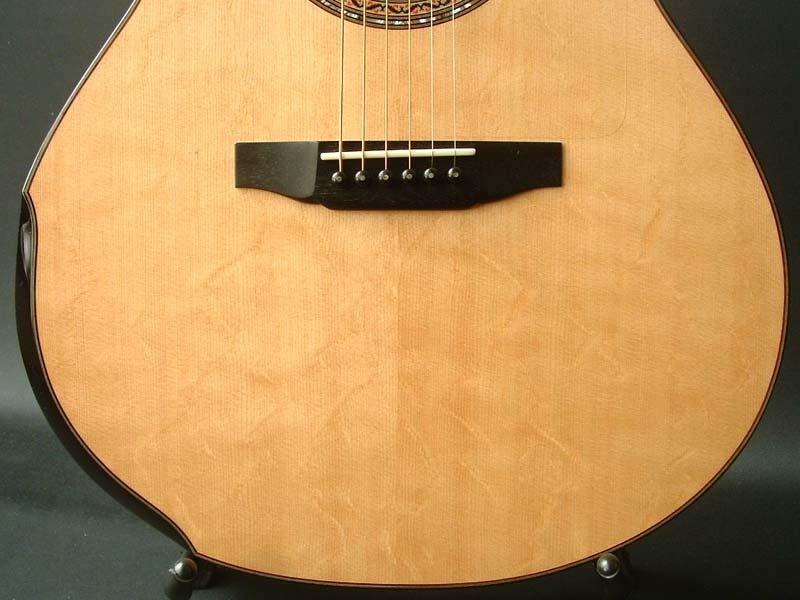 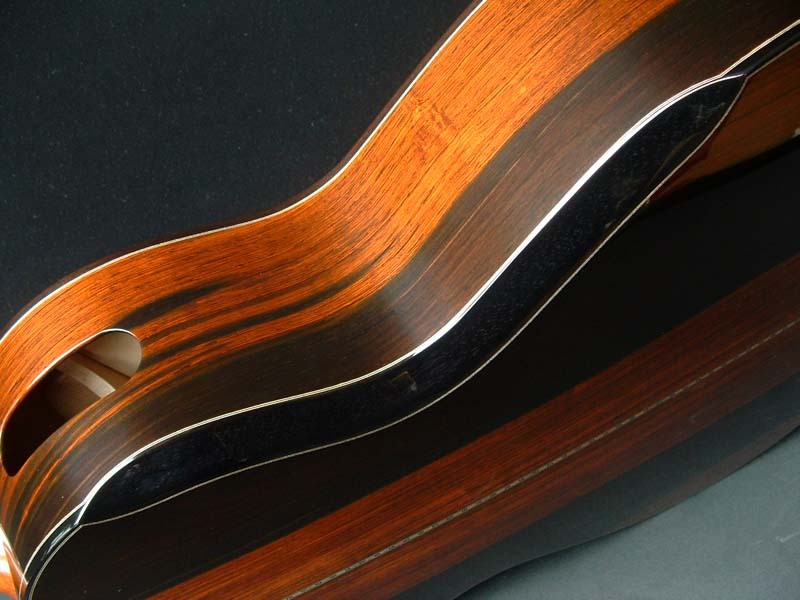 Canada's master luthier, Grit Laskin is known for his beautiful inlay. 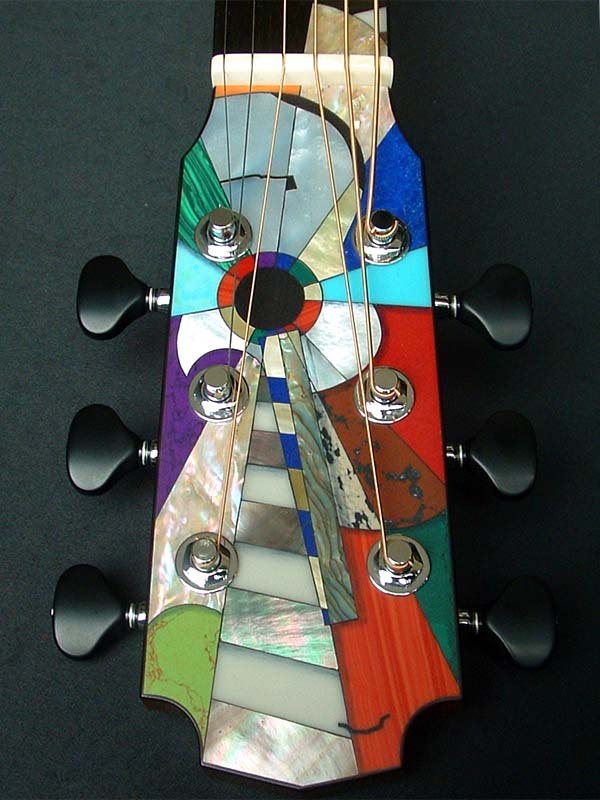 He decorated this special guitar with "Laskin guitar in guitar" inlay using colorful stones, pearl and abalone. 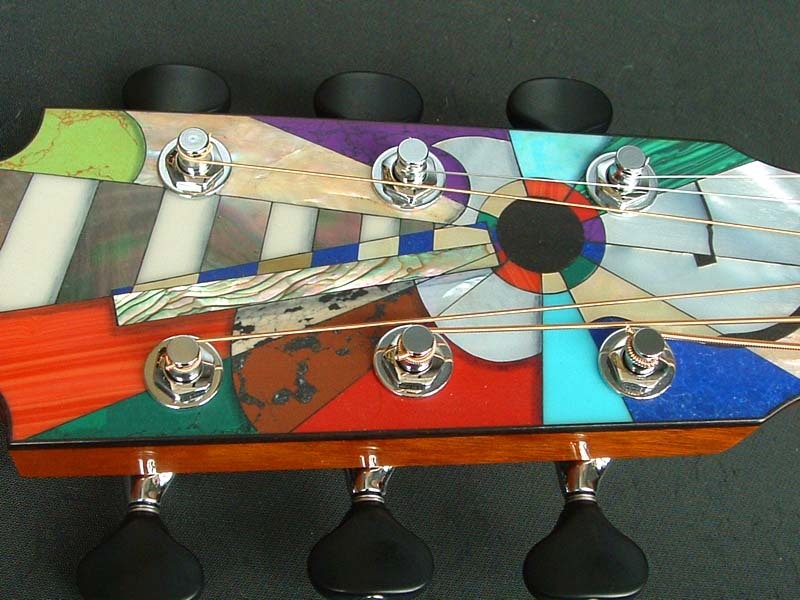 His approach is like Picaso-Cubist and it is just beautiful! 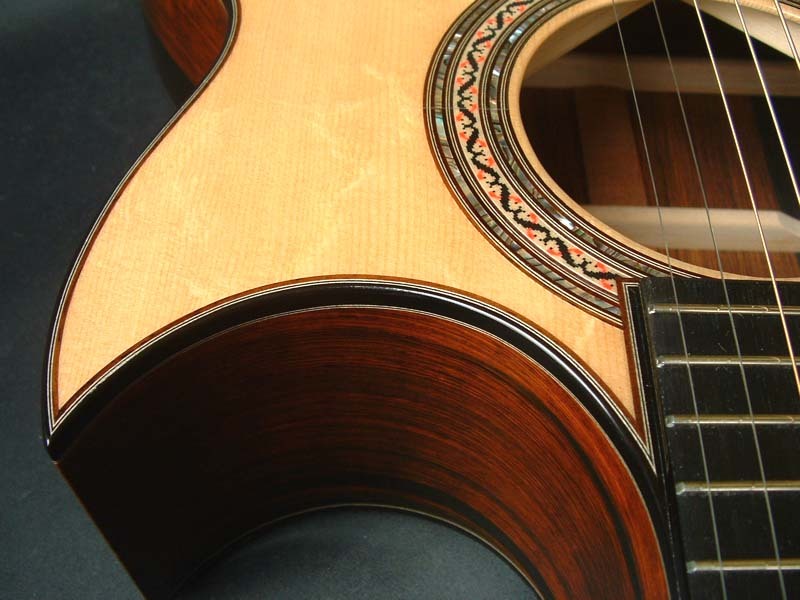 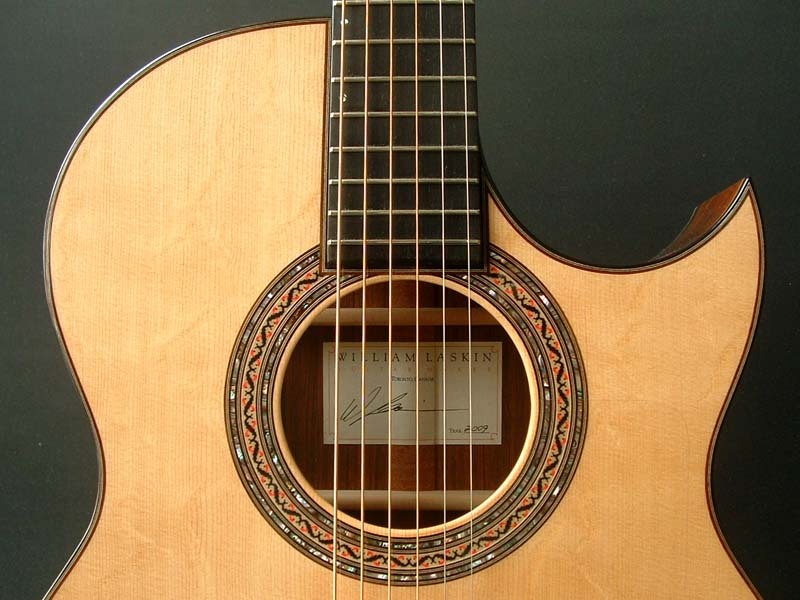 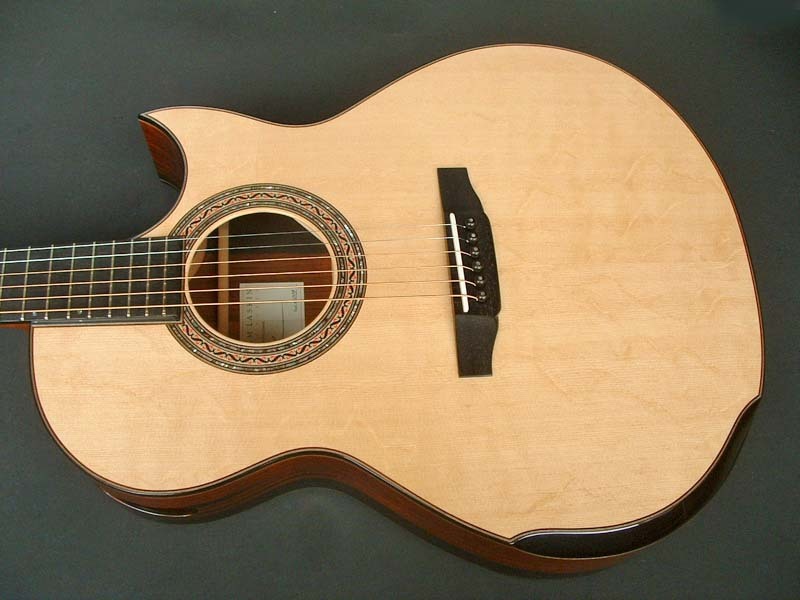 He also used beautiful bear claw Sitka spruce and premium quality black Brazilian Rosewood for this special guitar. 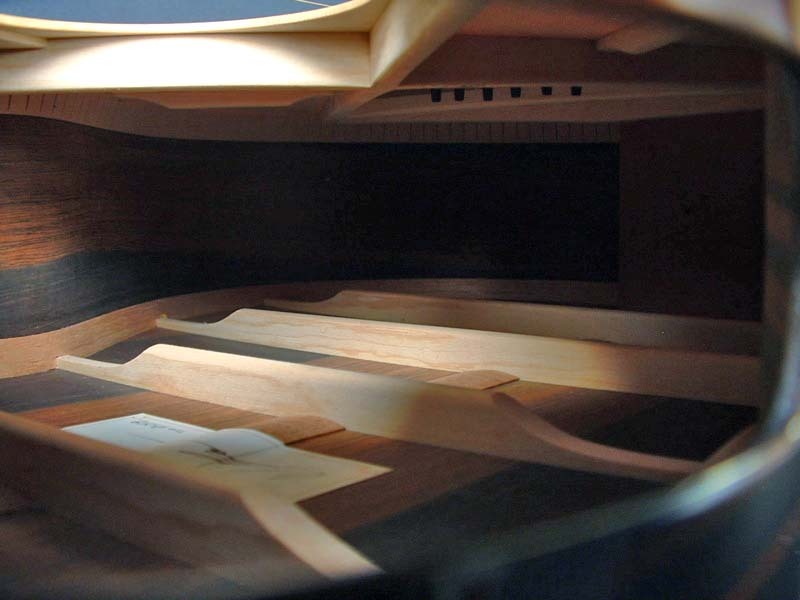 It is not only beautiful to look at, but also sounds great! 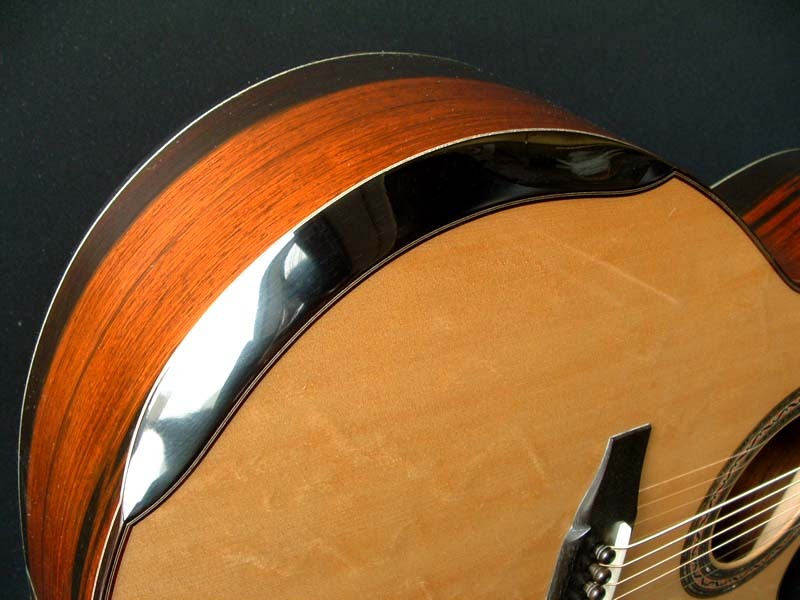 Rich tone, beautiful overtone, great sustain-you have to hear to believe it! 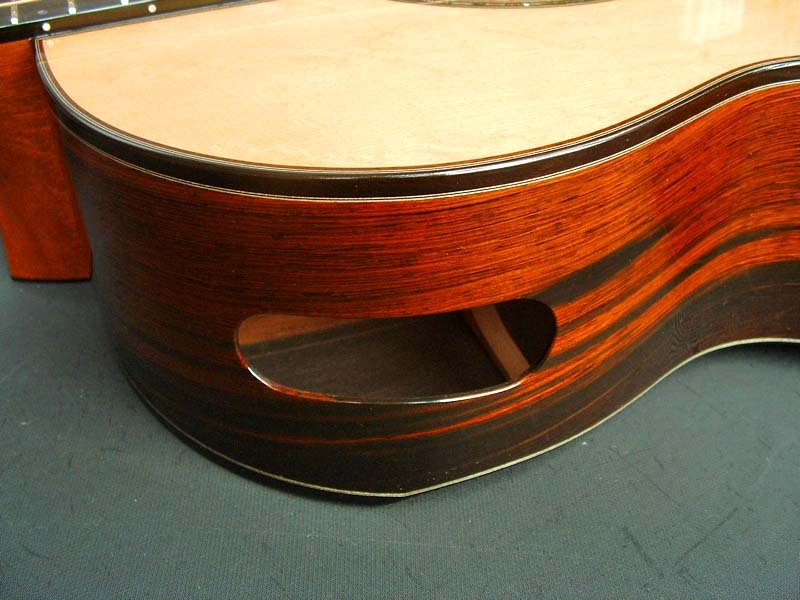 It is very comfortable to hold because of the arm rest and rib rest. 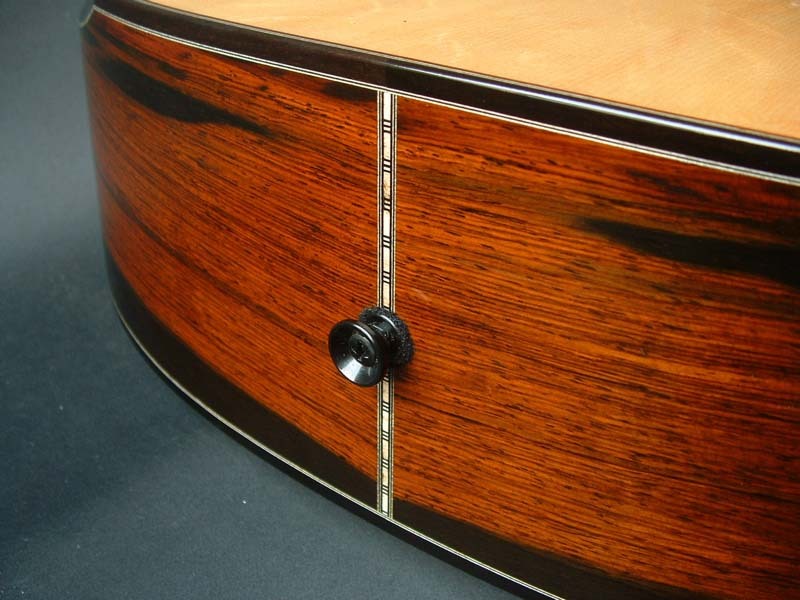 Also because of the side sound port, you can really hear the sound of the guitar! 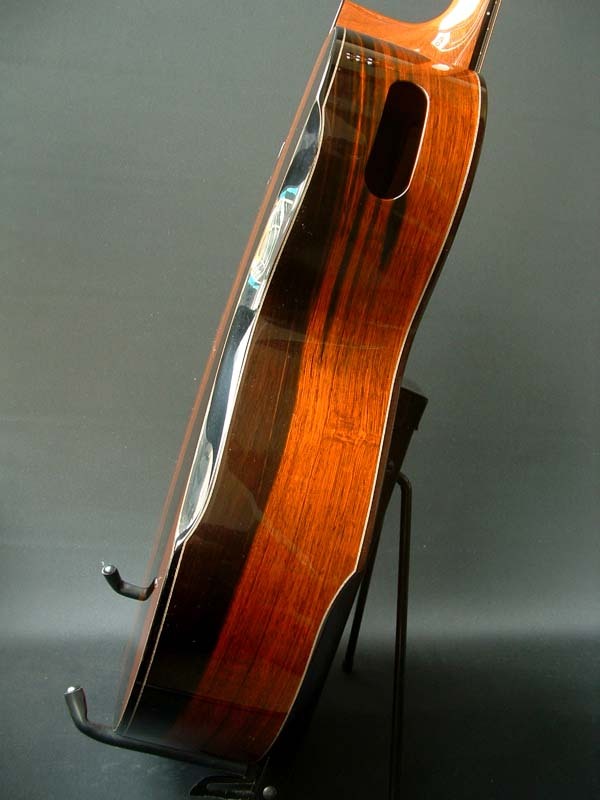 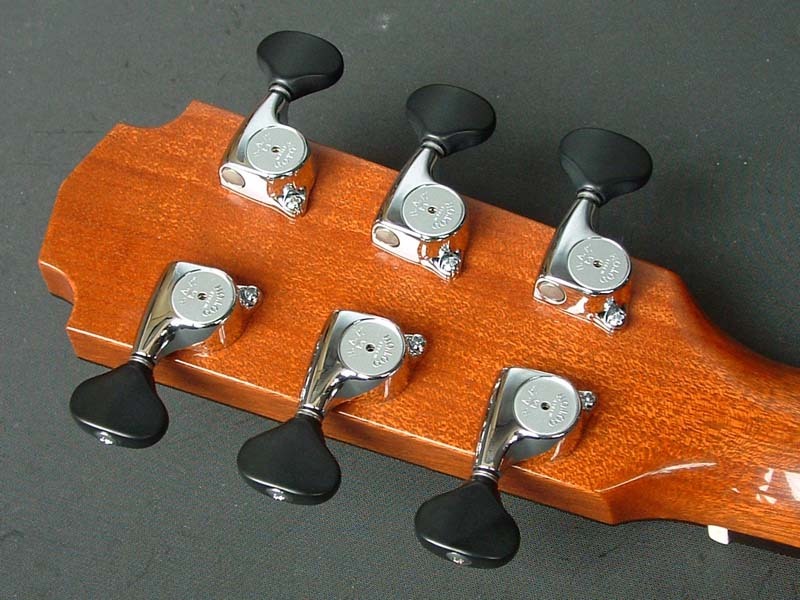 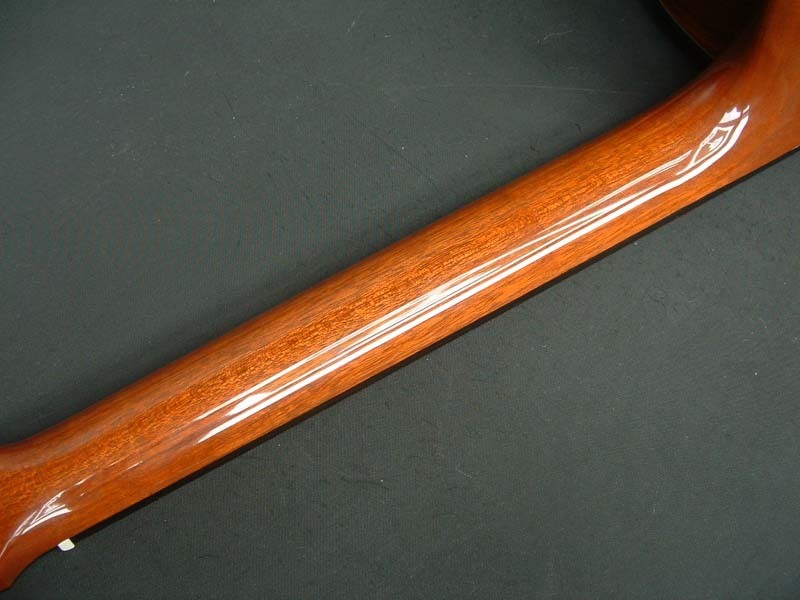 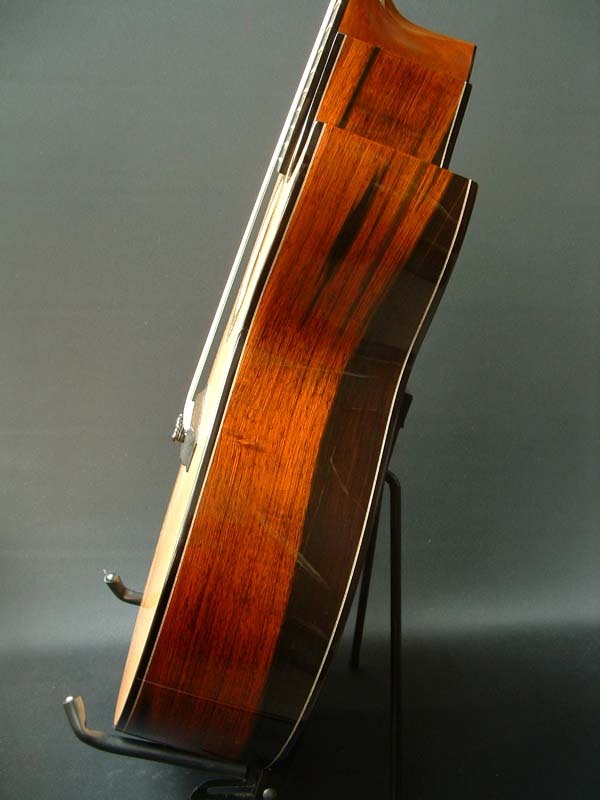 Many luthiers use arm rest, rib rest and side sound port today, but he invented them! 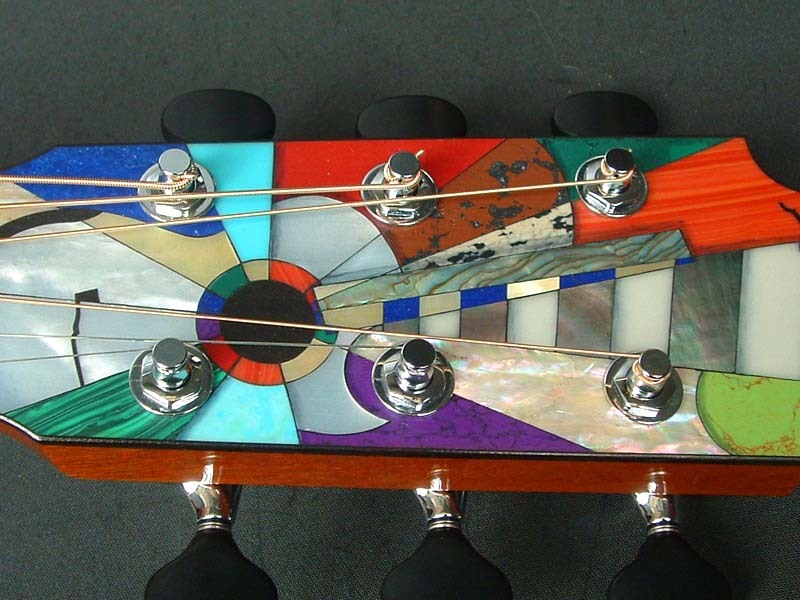 Great to opportunity to purchase one of a kind master piece! 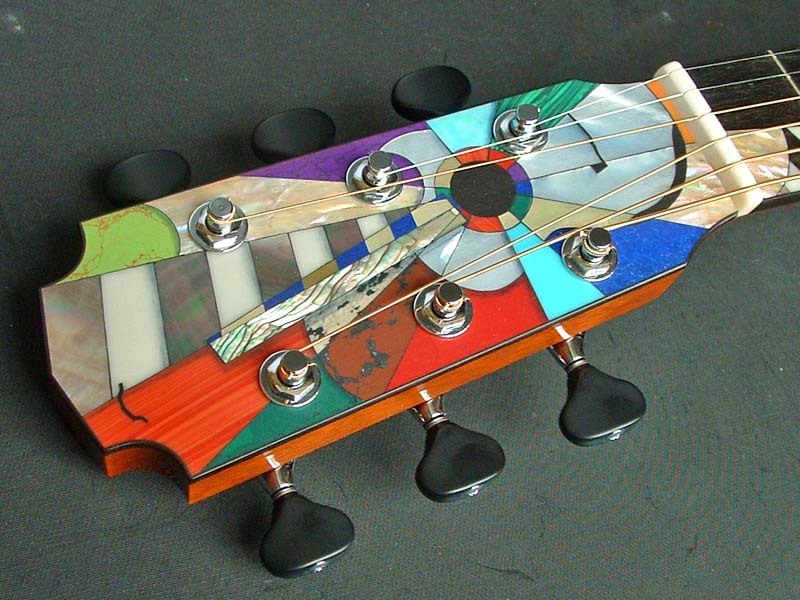 It is an art work you can play!